What are the best brushes for your Shepadoodle? This cross between a German Shepherd Dog and a Standard Poodle can have long wavy hair or tight curly hair. One of the goals of this cross breed was to create a non-shedding dog. The poodle does not shed and is as hypoallergenic as it is possible for any dog to be. The Shepadoodle that has tight poodle fur does not shed. 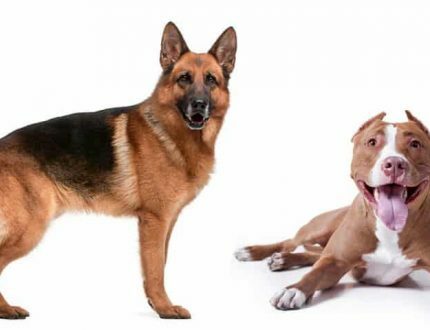 The German Shepherd Dog has a thick coat that does shed so that the Shepadoodle that has the hair of the GSD will have long, wavy fur that sheds very lightly. Unfortunately, both types of coats that a Shepadoodle can have will tangle and mat easily. You need the right grooming tools to brush and comb your dog every single day. So, what are the best type of brushes and which of those are the best for your Shepadoodle? Here are our choices for the top five brushes to meet the grooming needs of your Shepadoodle. Remember, no matter what type of fur your dog has, it might not shed but it will mat and tangle. These are the best brushes for dealing with these grooming issues. Reduces hair loss. Dogs with fur that mats can lose a lot of hair when you groom them. With this slick, your dog will keep a full 95% of his hair. Ergonomic handle anti-slip grip. This brush is not only great for your dog, but it’s also great for you. You will need to brush your Shepadoodle a couple of times a day, and grip will keep you from a repetitive action injury like Carpel Tunnel. Removes mats and detangles fur without pain. This brush cuts out that pain With special bristles and pins that slice through the tangles and mats, quickly and easily. Retractable bristle design. The Prime Options Slicker has a safe design. Push the button on the top of the brush and the bristles will retract. Stainless steel pins – rust proof. The Prime Options Slicker is made of quality plastic and stainless steel. It is rust proof and will last for years. Easy to clean. Most de-matting and de-tangling brushes are hard to clean. That fur just wants to stick to those bristles. With this brush, push the button on the top, the pins retract, and the fur falls gently into your hands. Shiny balanced fur – this slicker restore the shine and chemical balance back into your dog’s hair, leaving the coat looking very healthy. 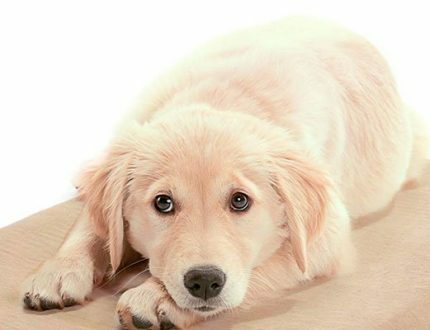 Mange tangles and prevent mats – reduced static electricity in the fur, detangles without discomfort and prevents matting by removing all the loose hairs. Remember if your dog resembles the poodle more, they will have less loose hair. If they take after the shepherd, they will have more loose hair. Pivoting head – reach all areas of your dog when grooming him, especially the hard to get to places. The same pivoting head is responsible for the decrease in static electricity while grooming your dog. This is due to the use of ions in the product that reacts with the air and your dog’s fur. Quality materials – the same quality materials that are used in hair styling products for humans, are used in the dog grooming product line. Don’t try to use this slicker on human hair, however. It was designed for your dog. Self-Cleaning – like our first brush, this slicker is also self-cleaning in the same manner. 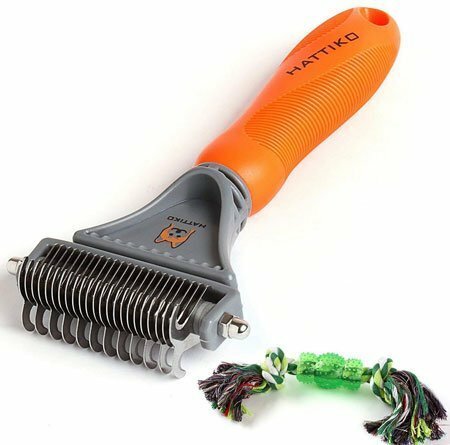 De-matting and de-shedding – this tool has dual metal blades and is made for the professional groomer. Knowing that should give you confidence when grooming your dog. The de-shedder blade will keep your Shepadoodle from becoming tangled by removing any loose or shedding hairs. The same tool will cut through any mats that might have already formed. Made to the highest standards and if the highest quality materials. The tool is sharp and has blades that are round at the ends. Easy cleaning as the hair comes out of these round teeth pretty easily. One of the best features of this tool is the massage feeling your dog gets while you brush them with this tool. They won’t want to fight you during this time. Instead, it is a pleasant and comforting experience for your dog. They will beg you to groom them. The handle is ergonomic and comfortable in your hand. It is made of comfortable rubber and prevents any slipping. The Awesome Pets tool is fulling guaranteed for 30-day money back and for one-year replacement. They can make this guarantee because of the quality of their materials. 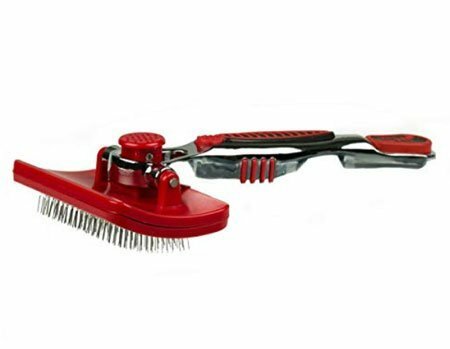 Grooming rake with rotating teeth – they untangle and separate fur. The teeth are round, and they rotate 360’. This gentle movement prevents any tugging when removing mats. The FURflex head is wide and unique – four-inch wide head makes getting through tangled and matted fur easier. The plastic that is Anti-microbial – keeps bacteria and germs away from the dog. Ergonomic grooming tool – comfortable and secure handle. The everyday solution for grooming the Shepadoodle – undercoat care and sensitivity for dog’s skin. Many of us are used to the “original” furminator and this is not that grooming tool. The original furminator was designed to be the ultimate de-shedding tool. It reaches deep into a dog’s undercoat and pulls out all the loose, excess hair. 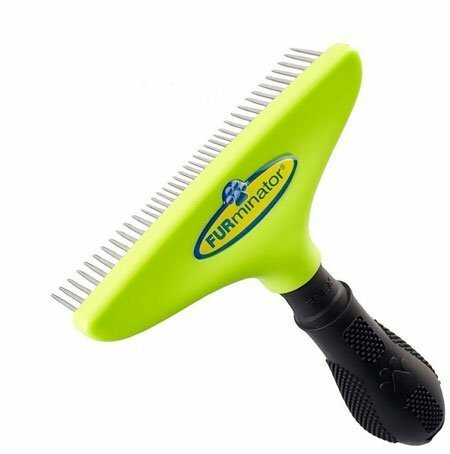 This furminator -rake is not for de-shedding but rather for de-matting and detangling. This is one of the best products to come out of the furminator factory in a long time. You can’t go wrong with this rake. If you have Carpel Tunnel or any other concern with your wrists and hands, the ergonomic design will delight you. 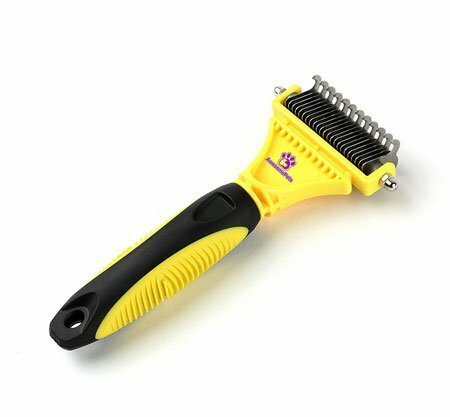 If you are a fan of the original furminator and you have a Shepadoodle, give this a try. This is a nice de-matting tool that is actually two sided with a total of 35 teeth. The side with 12 teeth moves slowly through the mats and tangles cutting them out. The side with 23 teeth moves more quickly to de-mat the undercoat. Brushing your dog with this professional tool will stimulate circulation of his blood and massage him gently. Your dog will love it. If you use it daily, you will not have wild fur flying around your home. 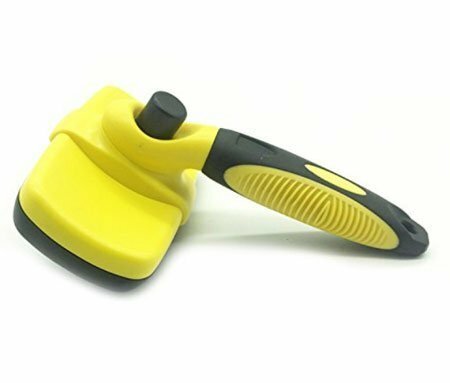 Easy to clean with a non-slip handle. Not quite as ergonomic as some of the others mentioned here, but still very comfortable in your hand. 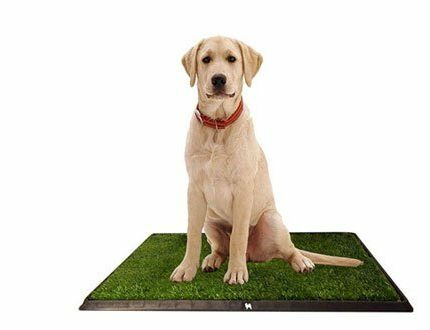 The two-sided design has round blades on the outside so your dog is safe but sharp blades on the inside where they can cut through the tangles and mats effectively. Made from high quality, innovative antiallergenic metal and plastic, along with steel that is unoxidable to keep your sensitive dog safe and healthy. Though this tool is last in our group of five, it is by no means least. It is innovative in many ways and just might be the tool you need. Your Shepadoodle is a fine looking dog with some major grooming challenges. 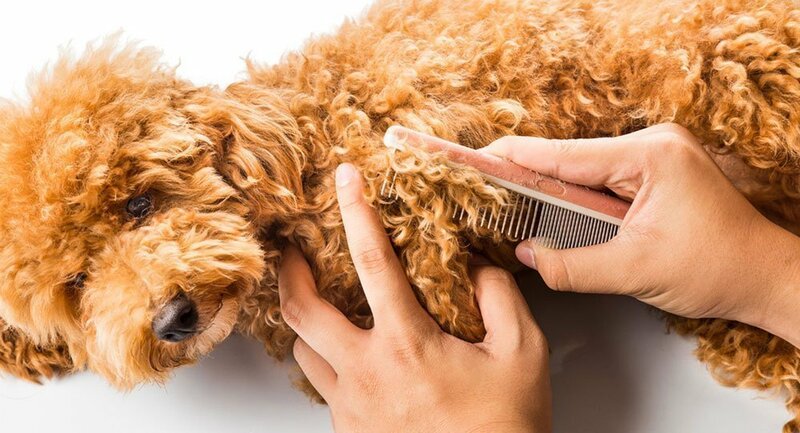 No matter whether he has the long, somewhat wild hair of the German Shepard Dog or the tight curly hair of the Standard Poodle, grooming him can be hard work. We have tried in this review to expose you to some of the best tools on the market for grooming your tangled, matted and uncomfortable dog. It’s not easy to remove tangles or mats. It is even more difficult if you have a squirmy dog or a sensitive dog that hates being brushed. Use treats if you need to. It is critical to get the tangles and mats out. The Shepadoodle will form mats very quickly if they are not regularly brushed. A lot depends on where you live and what your dog likes to do. If they are wallowing in mud, you will have both tangles and mats. If they love to roam the woods, they will have burrs and leaves in their coats. If your Shepadoodle begins to gather mats and tangles deal with them immediately. Don’t wait. Don’t procrastinate. Your dog can quickly go from a mat-free coat to one full of tangles and mats. If you want to keep your Shepadoodle comfortable and looking her best, you will have to brush, groom or comb her every single day. Not all dog owners have to brush their dogs that much, but your Shepadoodle with be a tangled, matted mess if you don’t. Brushing him for five or ten minutes is all you will need to do to keep that handsome look. Many people use more than one kind of brush or comb when grooming their Shepadoodle, but we would maintain that any one of these tools on this list will do the job by itself and you won’t, you don’t need to spend a lot of money on grooming tools. Just brush your dog daily for just a few minutes and then once a week take thirty to sixty minutes to go over him completely and in great detail. You might want to add a conditioner or detangling lotion that your “leave in” the coat and don’t rinse out. This will make brushing and de-matting a much easier task. If you are going to bath your Shepadoodle make sure you de-mat him first. You are probably also going to want to use a blow dryer on low or medium setting. Have the right tools and this list should give you a good start. You might want more than one tool. You could have a de-matting brush, a detangling Furminator, a comb with teeth, and a slicker. Or just get one good detangling, de-matting tool. Go over your dog carefully and find as many mats and tangles as you can. A good tool for this is the slicker brush. Look on the belly, the neck, the back of the legs and underneath the ears. Now add a de-tangler or conditioner and rub it in with your hands. Be sure to use the slicker again to break up any mats. Brush your dog with a de-matting and detangling brush or Furminator and get all the knots. Give your dog a bath and blow dry him. Again, how much work you are doing, will depend on the dominant genes in your Shepadoodle – is it the German Shepard Dog or the Standard Poodle? The GSD will shed a lot more than the Poodle, but even there you will have minor shedding. On the other hand, the Poodle will easily get mats in their thick fur. The shorter you keep their hair, especially in the summer, the easier your grooming chores will be. If you have a Shepadoodle in your life, you need at least one excellent grooming brush and maybe more. The biggest challenge facing the owner of a Shepadoodle is keeping your handsome dog free of irritating mats and tangles. The Shepadoodle does not shed much but they are certain to tangle and mat their coat. Your Shepadoodle is a cross between the German Shepherd Dog and the Standard Poodle. Depending upon which genes dominate in each individual dog, yours can have long, wild hair more like the GSD or it can have tightly curled fur like the Standard Poodle. Both types of Shepadoodles will mat and tangle, just in different ways. In addition, the German Shepard Dog type will shed a little and the Standard Poodle type will not. Both types are more hypoallergenic than almost all other breeds, although no breed is 100%. Go and look over the 5 best brushes for Shepadoodles again and decide what the best tool or tools are for your dog. We are sure you will be satisfied with any of these five brushes.